Chrissie has a feeling of dread when Lawrence insists she needs to talk to Cain. 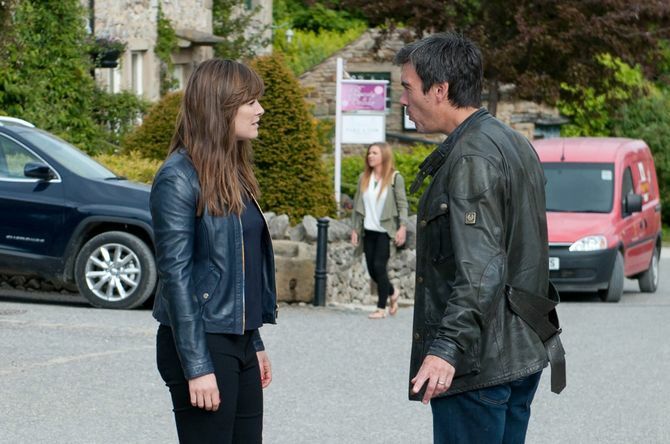 Later, Chrissie intercepts Cain who fumes to hear Robert plans to use the incriminating photos. Will a menacing Cain find a way to warn Robert off? Chrissie is left unnerved when Cain later suggests that if she doesn’t take control of the Robert situation, he too will be her enemy. Running out of options, who will a scared Chrissie turn to next? Pollard despairs after realising Val is serious about faking her death. Meanwhile, sunburnt David has arrived to see Pollard, but both are left vulnerable to discover Pollard has a heart condition. Later, Pollard returns home and is relieved to see Val is still there - aware it’s make or break for his marriage, will he assist her in her “fake death”? 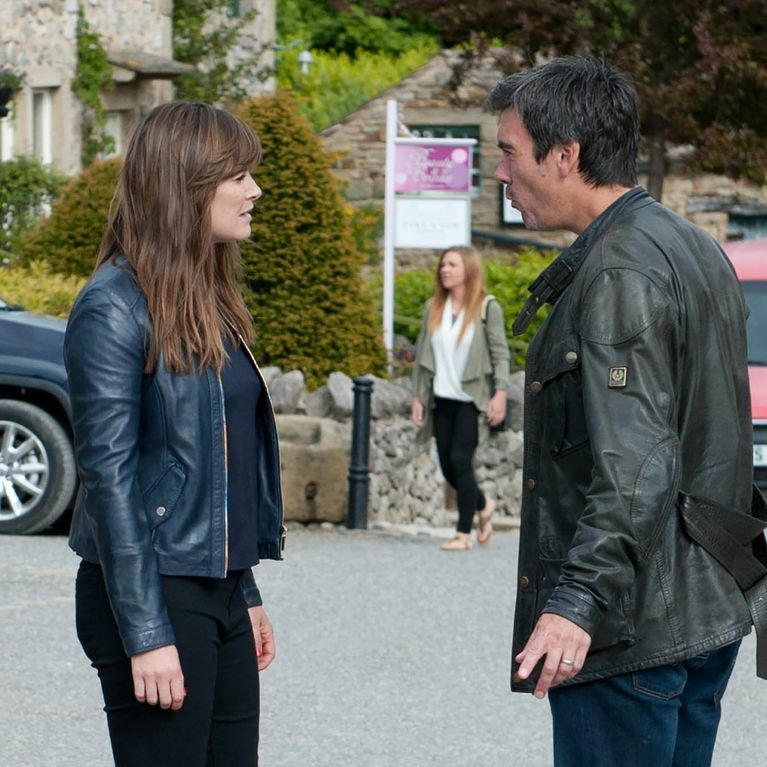 Emmerdale 03/07 - Has Katie managed to play Declan? Emmerdale 28/10 - Ross is in turmoil.